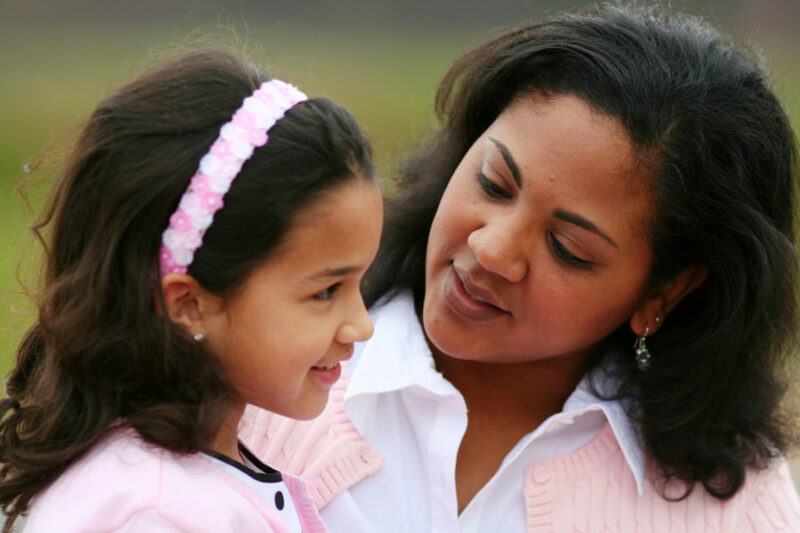 Do you hear your child constantly apologizing for things that aren’t even offensive? Here’s how to improve your kid’s confidence (and yours as well!). Because I knew exactly how she felt. She had her reasons for not wanting to talk at that given moment, but she felt those reasons invalid. That’s not a message I want her to internalize. Why do we feel the need to say I’m sorry so much? When a girl apologizes a lot, it may seem like she’s being polite but it undermines her own opinions, thoughts, and emotions to herself as well as the world. Growing up, we received tons of conflicting messages about how we’re supposed to behave. We need to be confident, but not at the risk of offending someone else. We should be assertive, but not bossy. I’ve run into these contradictions over and over. I used to teach at a challenging school. We taught wonderful kids, but in a difficult demographic – over 98% of our students qualified for free or reduced lunch. Our kids ranked near the bottom in the district on state tests. I knew that I could be teaching and managing more effectively. So I volunteered to lead book studies, be on committees, offer my opinions when other colleagues had issues. And some people didn’t like that. We worked in a two-story school where the lower grades (k-1st) taught on the first level and the upper grades (2nd-5th) taught on the second. One of my fellow teachers bestowed on me the nickname “upstairs boss” and used it to make fun of me behind my back. And… oh, when I heard it. I felt crushed. I stopped sharing as much, avoided this other teacher in the hallways for a solid month and apologized…APOLOGIZED…for being so assertive. I wish I could’ve ignored her comments, or used it as fuel to keep going, or given myself permission to drink a large glass of Cabernet and move on. But no, I stewed, worried and felt like I did something inherently wrong. Why do girls apologize more than guys? A 2010 study asked both women and men to keep a journal listing all of their offenses and whether they offered an apology or not. Researchers found that both sexes apologized in equal numbers when they believed they committed an offense. They found that women believed they’d committed more offenses than the men did. The study suggests that men have a higher threshold for what they consider offensive behavior. Usually, it’s a behavior she has learned. This reflection can be incredibly painful and rather sobering, but it always shows you the truth of your own actions. 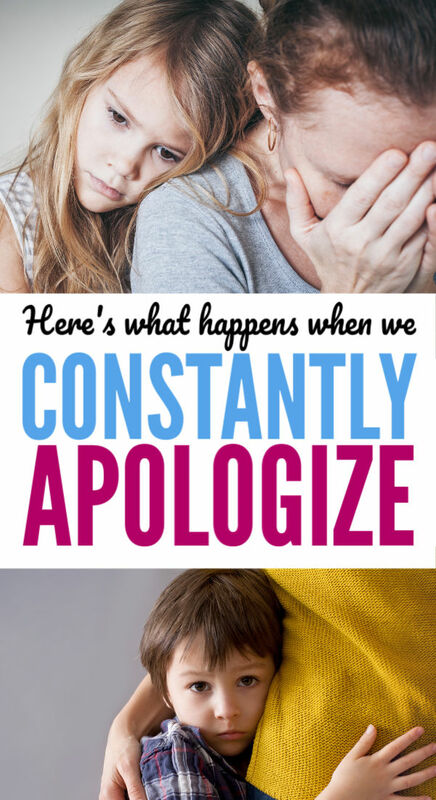 Since then, I’ve taken a hard look at how often I apologize around my daughter. Many times when I have to ask someone to do something or I’m too busy, I apologize away what I perceive as my own inadequacies to soften the blow of what I think is bad news. It’s crazy when I step back to look at it. Did I really do something wrong? My answer is usually no. And so are your kids’ emotions. I’ve slightly changed my verbiage when telling my daughter she can’t do something. For instance, this weekend she wanted to invite a friend over. My old response: I’m sorry, but we’re too crazy this weekend. My new response: That’s a great idea. It does sound like fun. Unfortunately, we have a lot planned. If I express regret over delivering the bad news, my daughter gets the message that she should feel bad for asking. Of course, she shouldn’t. When I reaffirm her own wants as valid, she learns that she has nothing to apologize for. The same goes for not wanting to talk about her last two hours in dance class with me in the car. “But you’re upset with me,” she responded. “I know.” She kept staring out the window. The constant apologies aren’t something that we’ll be able to fix in one night. When we’re aware of our own tendency to apologize and validate our kids strong feelings, we can help lessen their frequency. Wow, this wasn’t something that was on my radar, but now it is. In fact, I was just thinking of how impressed I was by my 10-year-old’s new ability to apologize with ease. That’s because in the past she refused to apologize for anything, even if she was very clearly in the wrong (think: hit her sister). But now I’m going to analyze her apologies a bit more. Is she doing it too much? Is it for something where she was in the wrong? Or, is she using it to please people? When kids are in the wrong, apologies can be a good thing. I was reading an article about a preschool where they teach the kids not to apologize. Instead, if kids accidentally hurt someone, they immediately try to console the person and find a way to make it better. I like that. Because apologies can go the other way, too. For instance, knowing you can get out of trouble if you issue a quick “I’m sorry.” Why does parenting have to be so complicated? Wow. I never thought about this. I totally apologize for things I shouldn’t have to. My husband doesn’t ever apologize for anything…..he just has the right as a male to do what he pleases. We have to apologize to ask for permission to do things our way. Or we think we do. Mind. Blown. Yup. I’ve tried to stop the number of apologies I make… and, ooooh, I’ve been floored with how many times I’ve wanted to apologize.